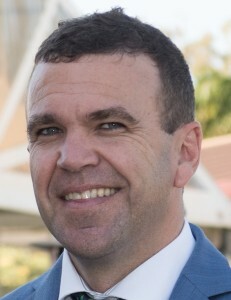 Marcus Riley is Chief Executive Officer of the Hibernian Society, a charitable organisation and public benevolent institution which owns and operates BallyCara Retirement Living & Aged Care. He is the Deputy Chairman of Leading Age Services Australia (LASA) and President of LASA-Queensland and Board Member of International Association of Homes & Services for the Ageing (IAHSA) as well as a Director of Australian Marist Solidarity Ltd. Prior to these current roles, Marcus has held numerous other key industry positions including as a national Director of Aged and Community Services Australia (ACSA) and Retirement Villages Australia (RVA Ltd). He continues to hold advisory positions in the broader health industry to key consumer, financial and service groups. Marcus has worked hard to champion innovative practices and approaches to advancing our industry.